But setting aside for a moment the prickly issue of how China conceives of soft power as state-led public diplomacy as opposed to the more spontaneous effluence of culture, how is its soft power project going? On the Soft Power 30 index for 2016, compiled by Portland Communications on the basis of objective metrics and international polling data, China ranked 28th in the world, just behind the Russian Federation and edging ahead of the Czech Republic and Argentina. The United States nabbed the top spot, pulling ahead of Great Britain. For Chinese leaders, who still see soft power, and in particular what they call “cultural soft power,” as an outgrowth of Party and state power, one crucial aspect of the country’s “strategy” (a word revealing in itself) is “developing the vehicle or the mechanisms by which China can project this soft power.” Much of China’s official discourse obsesses over the idea that the West, and particularly the United States, monopolises “discourse power” internationally and that China must work to revamp the global information order (perhaps with Russia’s help). As bold and virile as this sounds, however, even a casual look at what CGTN currently has on offer indicates this is probably another misguided venture that will line the pockets of China’s state broadcaster while offering little in the way of globally compelling products. How extensive? Well, let’s take a look. The brand-new CGTN has already released a pair of mobile apps for news and live broadcasts. 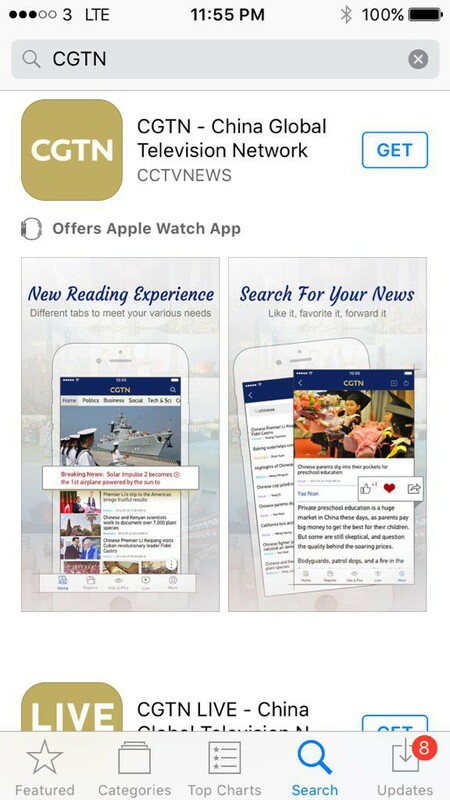 Inexplicably, however, the albatross drapes still from the neck of this new brand, and “CCTVNEWS” is placed prominently just under “China Global Television Network” on both of the offerings in the App Store — next to a drab, pea-soup logo with the banal acronym. After years of apparent soul-searching about the need to entice, and to understand foreigners and their interests, do we get a new approach to news reporting, writing and selection? The mock-up for the news app features a story about a Chinese naval vessel — hastening non-Chinese readers to thoughts of realpolitik. Two of the three stories coming on its heels are about Chinese Premier Li Keqiang visiting Latin America, betraying that all-too-familiar habit state media have of reporting the news as though interesting and significant things are done only by Party and government leaders. Has CCTV really learned nothing about the human element? Isn’t that what the attraction at the core of soft power is ultimately all about? Could they not have featured a story instead about the Chinese soccer club offering Real Madrid 300 million Euros for Christiano Ronaldo? Is it so difficult to stand in the shoes of one’s target reader? Then again, perhaps my exasperation is heightened by the unfortunate fact that Apple has succumbed to Chinese pressure and pulled both the English and Chinese-language apps for the New York Times from the App Store. Hard power hard at work. What about CGTN’s new website, to which all of CCTV’s international content has been directed? With all due respect to CCTV’s Chen Lidong, anyone who turns to the first page of this extensive makeover will see the cracks and wrinkles. 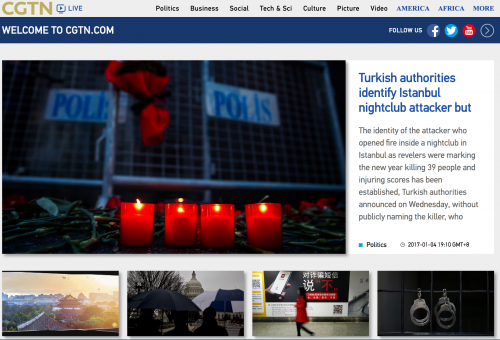 When I first visited the new CGTN.com global website yesterday, the featured story suffered from strange breaks in both the headline (“Turkish authorities identify Istanbul nightclub attacker but”) and the teaser. These evidently stemmed from basic kinks in the platform design — the kind of things one supposes should be ironed out before the president offers his felicitations on the front page of the official People’s Daily. “Dang Zheng” happens to be a homonym for “Party and government,” and while we can’t rule out the possibility, however remote, of a reporter on the politics beat who is actually named Dang Zheng, this is probably a liberty taken by the editors at CGTN. Just as you could find at the old CCTV website, or at Xinhua’s English-language site, the occasional story to entertain or enlighten, there are odd stories at CGTN that surprise — like this little unpolished gem about a villager in Guangxi whose free outdoor film screenings have been curtailed by local officials. But this does not look — not yet — like an extensive makeover. It looks like an ill-conceived web re-design alongside a simple acronym change. And as China, despite tightening controls, is in the midst of an exciting era at least in terms of technical and design innovation for the mobile internet, the CGTN platform seems to fall even flatter. 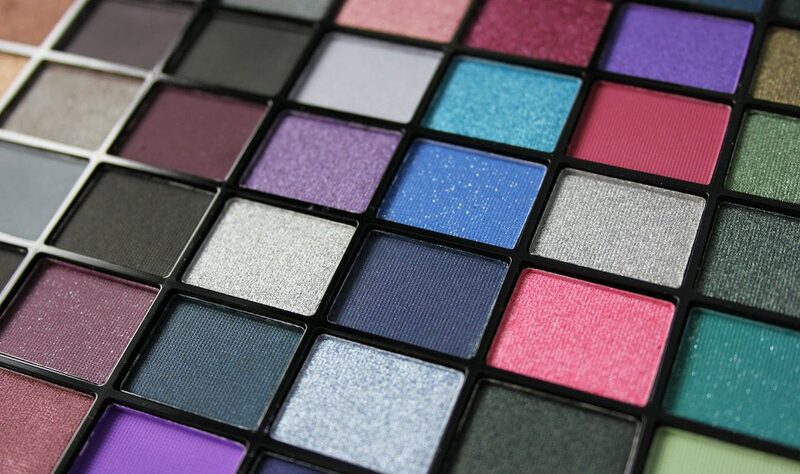 Why not find inspiration in the likes of The Paper or Jiemian? Faced with such a medley of impossible expectations from those in power, is it any wonder that CCTV — I’m sorry, that CGTN — is confused?